Bespoke and high-quality conservatories and orangeries to fit any type of home. 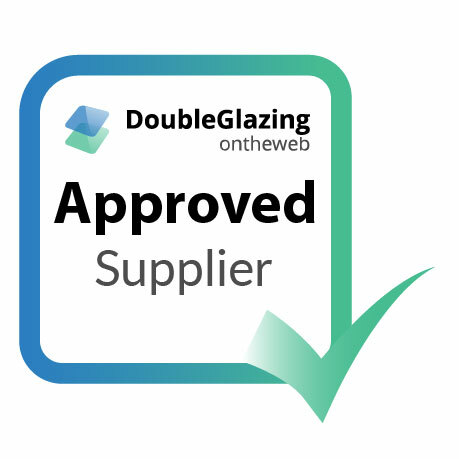 We at Abbey are we are proud to be an Approved Installer for Double Glazing on the Web and Conservatory Online Prices. Why buy a conservatory through Abbey? When you shop for your new conservatory with Abbey, you will be dealing with people with over three decades of double glazing experience, having first started up in 1986 here in the Reading and Berkshire area. In our quest for perfection, we only use the highest-quality materials and attempt to deliver the best possible service we can, and with that we strive to provide you with a conservatory that looks stunning and is built to last. As a company Abbey are a Which? Trusted Trader, one of the highest accreditations we can possibly obtain. As a company, Which? boast over 60 years of reviewing experience so to be recommended by them is an honour. Furthermore, we are proud members of the Double Glazing Network and are a registered installer under FENSA’s current building regulations. That means you know from the off that can trust Abbey to deliver a perfect service and a conservatory you can be proud of. We are also able to boast an impressive Checkatrade score of over 9.7 as of Autumn 2018. This means that people like you in the Reading and Thames Valley areas are thrilled with their experience shopping for their dream renovations here at Abbey. What types of conservatories do we offer at Abbey? A taste of just some of the conservatory types we offer here at Abbey for your Reading and Berkshire home. If you’re looking for a more traditional, vintage conservatory look, then the symmetrical design of the Edwardian conservatory could be just for you. Great for someone looking to add a dining area to their home, the sophisticated look oozes class. The wonderful gable-end conservatories help maximise those who have space to spare, through their eye-catching design and high roofs. 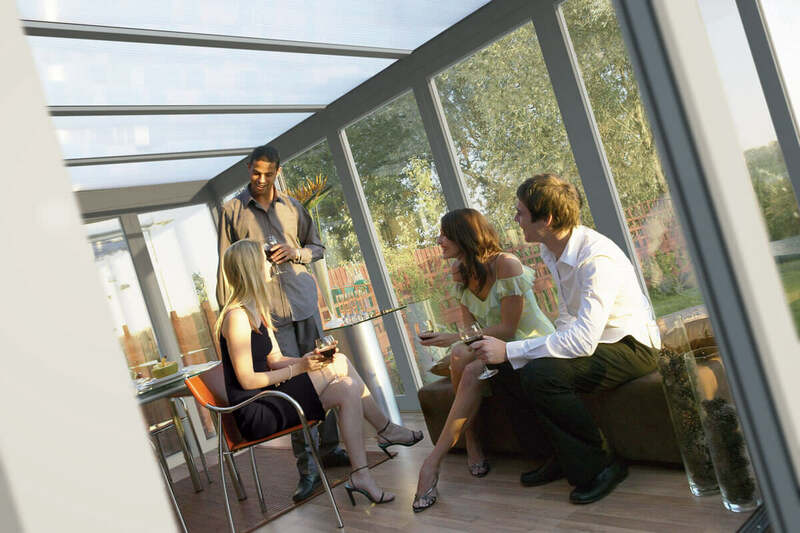 This helps get the most natural light into your conservatory making it a great social space your whole family. The minimalistic and cost-effective lean-to conservatory is the perfect addition to your home if you don’t have much room to play with. It’s sloped roof still allows plenty of natural light to enter your home without the grandeur of some of our more extravagant models. Made from some of the finest timber available, our wooden conservatories can totally transform your home with their traditional design built for the 21st Even with a different material, they are still made to last. The perfect middle ground between the a house extension and a conservatory. This blend comes from the use of increased bricked areas with the glass to allow plenty of light into your family home. They offer a stunning look to the outside of your house and come with the latest and most modern safety features. When you shop for your conservatory at Abbey, you will not only receive excellent service but you will get to chose from the best-quality products and the most modern customisation options. Whether you want something more minimalistic like a lean-to model or would prefer something more eye-catching like an ultra-flat skylight, you’ll be able to make whatever extension you chose perfect for whatever space and money you have available. As with a vast majority of our products we have energy efficiency in mind, and in addition to the possibility of solar-panelled roofs we also have some incredible double and triple glazing options to allow you to save on your energy bills and keep the warm in during those cold winter months. We also have an impressive variety of colour options for your new Reading conservatory, and at Abbey we offer our variety of different colours across our window and door ranges too. This allows you the possibility of having your whole house renovation to match, should your purchase with us extent before your conservatory. Interested in a quote from Abbey Conservatories? 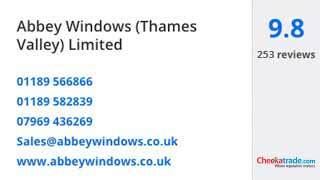 If you’d like to get started on getting your free online quote from us at Abbey Conservatories, you can use this link to get one directly based off of what you want from our bespoke aluminium range here in the Reading, Basingstoke and Thames Valley area. With a traditional cottage look, one couple in Henley knew they needed to change their conservatory to include integral blinds but wanted to keep a cottage-looking appearance. Their end-goal was to counteract the consequences of having a southern facing conservatory, whilst maintaining its original appearance. Making sure their conservatory was usable and comfortable all year round was an important and vital aspect for their reason to renovate, and the team at Abbey were proud to help. This Henley home was becoming overheated in the summer, making it unbearable and uncomfortable for its occupants. 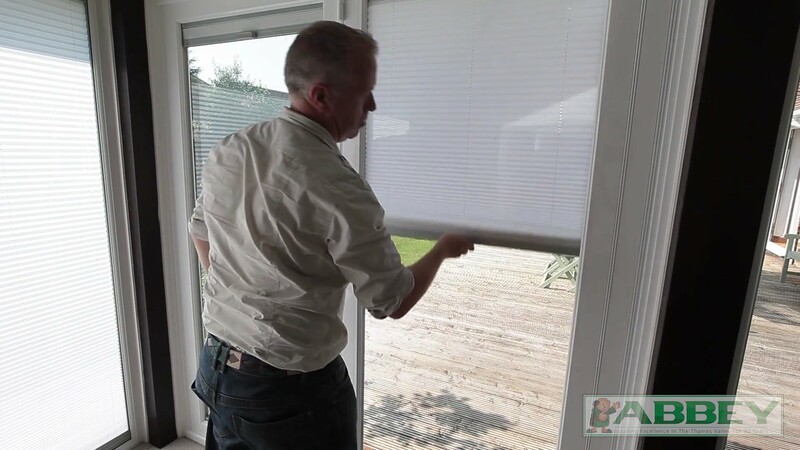 What the couple realised is to keep their conservatory feeling comfortable and more enjoyable, they must change their windows and incorporate a set of integral blinds. This is where the team at Abbey were proud to help. The couple had an idea in mind of what they wanted their conservatory to look like and presented their vision to us. The vision the couple had was to create a well-ventilated, comfortable conservatory that can be used all year round, without the unbearable heat. With this vision, the couple found products in our showroom that they loved. They then spoke to our experts who were able to assist them in purchasing their products. Our range of cottage style windows was exactly what the couple wanted due to their ability to bring in copious amounts of natural light, brightening up their dark conservatory. As well as this, they looked at our range of stunning integral blinds, designed to fit perfectly into any conservatory. From the range, they chose a set of white pleated blinds to block out the harsh heat. Our Henley couple were facing a big problem of having a conservatory that is excruciatingly hot in the summer months. Their solution was one that we could help with. When choosing their uPVC conservatory, they looked at our range of integral blinds that were guaranteed to be a perfect fit. They liked the design and found the price to be reasonable, so decided to install a set of integral blinds into their conservatory. Choosing white pleated blinds, they can now quickly and easily create the results they want by opening or closing their blinds. Like this couple, if you have a conservatory or home this is darker than you’d like, our range of stunning uPVC windows are ideal for making sure your living area is brighter than before. With larger window panes and smaller sightlines, your uPVC windows will invite copious amounts of natural light into your conservatory, creating the illusion of extra space. Available in a range of stunning colours, you can customise your uPVC windows to suit the design features in your conservatory, creating a seamless blend between your windows and conservatory. Having battled with a conservatory that is too hot, uncomfortable and dark, the couple decided to enlist the help of Abbey to transform their living areas. They chose to install a set of stunning uPVC windows whilst utilising the opportunity to incorporate integral blinds, completing their vision for their conservatory. By doing so, they transformed their conservatory from a dark space to a brighter area that brings in a wealth of natural light, whilst maintaining their current cottage-style aesthetic. They are exceptionally happy with their purchase and the installation (our team leave your house just as they found it – clean and tidy), making this a huge success! To find out more about our success stories, the range of conservatories, windows, doors, and blinds, or to find a quote, give us a call today on 0118 958 2839. We will be happy to give you all the information you need, providing you with a quick quote at the end. Or, send us an email using our contact form. All our emails are read by our team of experts who respond as soon as possible. They will answer all your questions in detail and can call you back at a time that suits you. Your home improvements are personal to you, so why in fact not reflect your personality in the options you choose? Our bespoke conservatories in Wokingham are a brilliant option for any property, enabling you to enhance the architecture of the building, add to its character, and create a practical living space that meets your every need and desire. Abbey Conservatories have a team of expert designers who will happily work with you to create the bespoke conservatory of your dreams. Read on to discover why bespoke conservatories are fast becoming the Wokingham home improvements of choice. Bespoke conservatories in Wokingham are ideal for almost any property. Our designers will work with you to create a space that is functional, as well as beautiful, to enhance your home. First, we will look at where you want to install your new conservatory, assessing and measuring the space so that we can create a detailed plan. Then, we will listen to your plans for your conservatory. Are you going to be using it as a dining room, a home office, a living space, or a playroom perhaps? There are dozens of options available, you might even want a multipurpose room. We will also discuss the design features that you like, from door styles through to profile finishes, everything will be exactly the way you want it to be. Bespoke conservatories are specific to you, enabling you to create a dream extension that will be a pleasant and practical space to enhance your property and lifestyle. Our bespoke conservatories are crafted using the Ultraframe Loggia range. This clever structure offers the most outstanding quality for your new conservatory and combines it with impressive all-around performance. Bespoke conservatories are expected to meet the same high standards as our regular conservatories, so with the Loggia design, you can expect excellent thermal performance and high security. 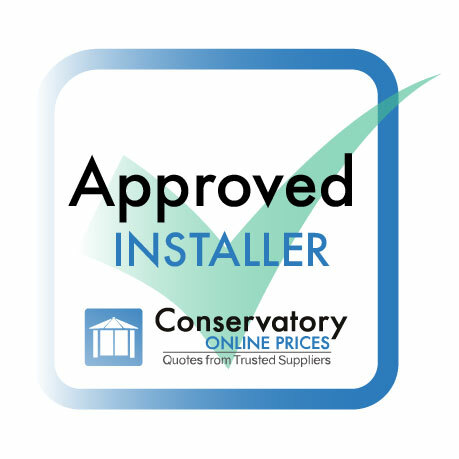 In fact, these conservatories are even capable of a Windows Energy Rating of A+12, better than other conservatories in the industry. We also only offer the most incredible security with all of our installations, so even our bespoke conservatories come with high performance Yale locking systems as standard. 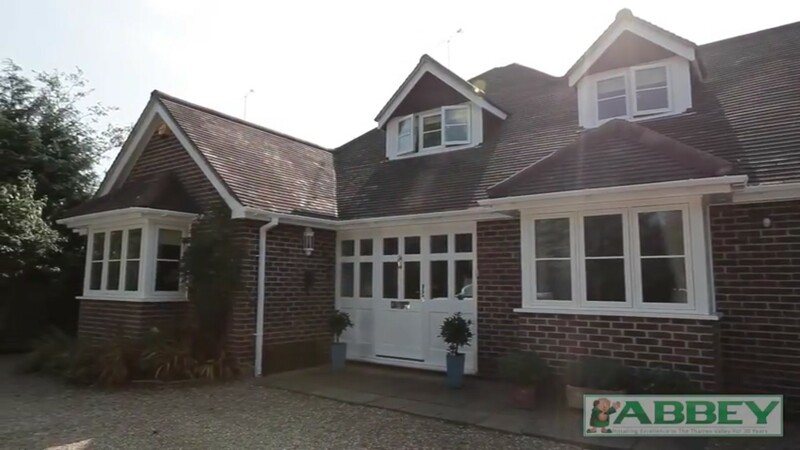 With our bespoke conservatories, you can be confident that your Wokingham home is thoroughly protected against the weather and against potential intruders. Our bespoke conservatories in Wokingham come with excellent benefits. Even the roof is down to you and your tastes. We offer the Ultraframe RealRoof system which can be matched to the tiles on your property so that your conservatory blends in seamlessly with the existing architecture. Or perhaps you would prefer a glass roof, in which case there are options for solar control glazing or self-cleaning glass. Our conservatory roofs are designed to make life more comfortable and your conservatory more enjoyable. We can even work with you to install beautiful lighting and flooring so that every aspect of your new bespoke conservatory is perfect when we finish. Choosing Abbey Conservatories for your bespoke conservatory in Wokingham will ensure that you get an installation of the highest quality. Our experts will be on hand from the first point of contact with advice and guidance that you need. When it comes to installation, our team are highly trained and experienced, as well as committed to customer service. We will be onsite at the time agreed, and our team will make every effort to keep disruption to the bare minimum. Throughout the installation, they will ensure that the build is safe and meets the highest quality standards. Upon completion, they will tidy up after themselves, leaving your home in the same neat and clean state that they found it in. Our entire team, from designers to tradesmen, are here to ensure that your installation is absolutely perfect and meets the very highest standards. With Abbey Conservatories, you can expect an exceptional and efficient installation experience. Bespoke conservatories come in a range of prices completely tailored to your Wokingham home improvements. You can get an idea of our conservatory prices with our online quoting engine. For more information or a guide price for your bespoke conservatory, we recommend getting in touch with the team. Our bespoke conservatories are so specific to you and your Wokingham home, that we can only give you an estimate to start with, but our knowledgeable team will be more than happy to discuss this with you. Home improvements do not need cost as much as you would expect. With so many options available, it is easy to tailor your costs to your budget. Conservatory prices are completely bespoke to you and your requirements, meaning that they are entirely cost effective. You can create a functional living space with added value to your home, and enhanced aesthetics with a practical and stylish conservatory. Abbey Conservatories are conservatory experts. We design and install cost effective conservatories throughout the Thames Valley, improving many properties. We offer a range of options so that you can create the perfect conservatory that complements your property, is functional and is also within your budget. Read further to find out more about conservatory prices in Thames Valley. Conservatories in Thames Valley are a far more cost effective home improvement than a traditional, brick built, extension, making them a top choice. They are even more efficient to install, taking less time and creating less disruption. Conservatory prices are far lower than those of brick built extensions, but, you can benefit in much the same way. 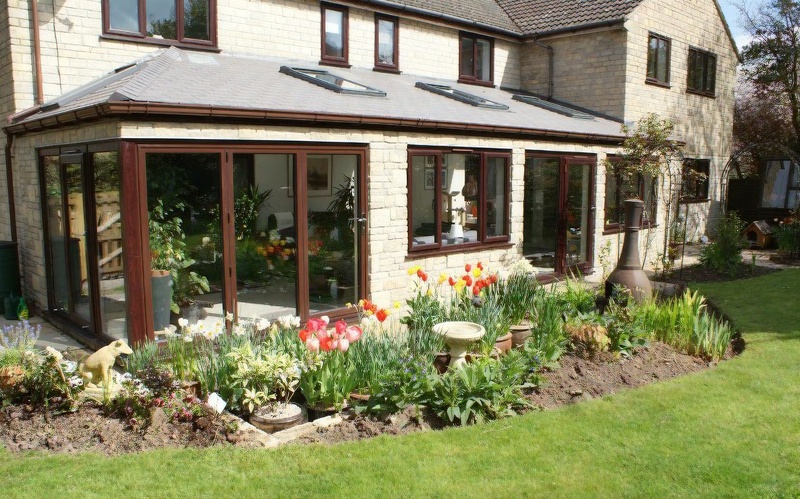 Our conservatories use Liniar profiles to help improve the efficiency of your home. They have a multi-chambered profile to trap air and create a thermal barrier that minimises heat loss and eliminates draughts. You will benefit from a Windows Energy Rating of A+12, which will help to lower your energy bills. With such incredible thermal performance, your home will need less heating to stay warm. Our conservatory prices save money on installation, and factor in fantastic savings you could make in the long run. In addition to this, our uPVC conservatories are a different class of security, achieving the very highest standards. The profiles have hidden strengthening technology, making them more secure without the need for steel. They are also fitted with a state of the art Yale locking system for increased security. Conservatory prices reflect the style and size of your conservatory, enabling you to choose more affordable, minimalist designs, or premium styles with sophisticated features. Even the customisation options, such as colour finishes, and decorative glazing will have an impact on the cost of your conservatories. Our summaries below show you what is possible with your home improvements, giving you all the inspiration needed. Of all conservatory prices, the lean-to conservatory offers the most value for money. These stylish conservatories will enhance any area of your home, making the most of any unused space. They are ideal for narrow areas and properties with low eaves too, as the design is fantastically versatile. With these conservatories, you will benefit from a functional living space at an affordable price. Our Victorian conservatories are one of our most popular options. Easy to install, they offer stylish details such as finials, combined with a traditional three or five-faceted design. Your home will benefit from a classic look that is also practical and cost efficient, ideal for enhancing almost any style of property. These beautiful conservatories give you the benefit of functional living space. They have a square or rectangular shape, which is ideal for dining rooms or home offices. The design is minimalist too, creating a streamlined look that complements any architecture. With these conservatories, you can count on maximum functionality with cost effective conservatory prices. For a premium option, our gable conservatories are one of the most cost effective. Based on the Edwardian structure, they have a luxury roof shape which replicates the gable end of a house. It provides a striking feature, which will transform your home, giving it an exquisite finish. These conservatories are ideal for when you have plenty of space to develop. 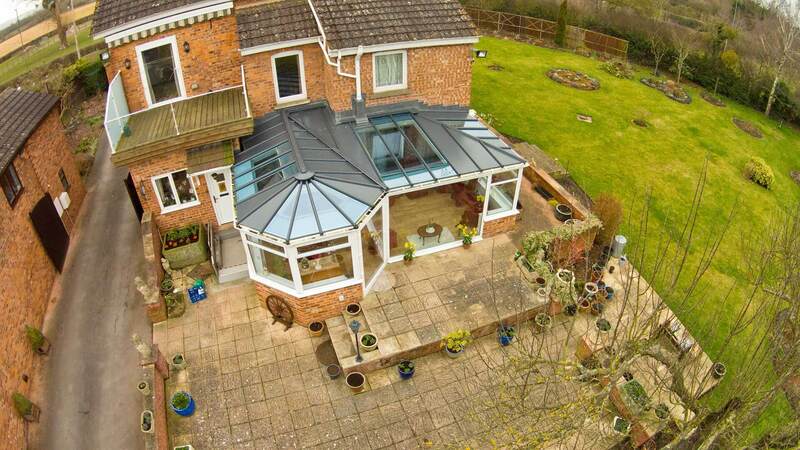 Another luxury option is the P-shaped conservatory. These conservatories can be more expensive. Although they feature the affordable lean-to conservatory and the Victorian conservatory, are usually quite large. Popular with period properties and stately homes, these conservatories offer a multitude of functions all in one space. If you have an awkward space to fill, or perhaps you simply need a larger than average conservatory, our bespoke conservatories are ideal. These conservatory prices are completely unique to each design. Conservatory prices in Thames Valley by Abbey Conservatories are magnificently affordable to add additional living space with our spectacular conservatories. Our online quoting engine can give you an idea of costs, or you can contact us for more detailed information. We are happy to help. Making the most of your conservatory is easy with our new conservatory roofs in Basingstoke. These remarkable roofs are high performance, keeping out the weather and keeping warmth within. Here at Abbey Conservatories, we are conservatory experts and we will help you to decide whether a replacement conservatory or a refurbishment is the best option for your home. Replacing your conservatory roof is cost effective and simple, so if the general structure is sound, this could be a great option for your Basingstoke home improvements. Abbey Conservatories are known for being honest, trustworthy and for designing and constructing the very best conservatories in Basingstoke. Read our guide to conservatory roofs in Basingstoke to discover the options available. One of the most impressive features of choosing a new conservatory roof for your home improvements is that it can make your conservatory a year round living space. If your conservatory is too cold in the winter, or draughty when the wind blows, our insulated conservatory roofs could improve its thermal performance in countless ways. You will benefit from heat loss being minimised, as well as a complete draught and leak free roof. If in the summer, your conservatory suffers from the oven effect which makes in unbearable to use, then choose our high performance solar reflective glass. 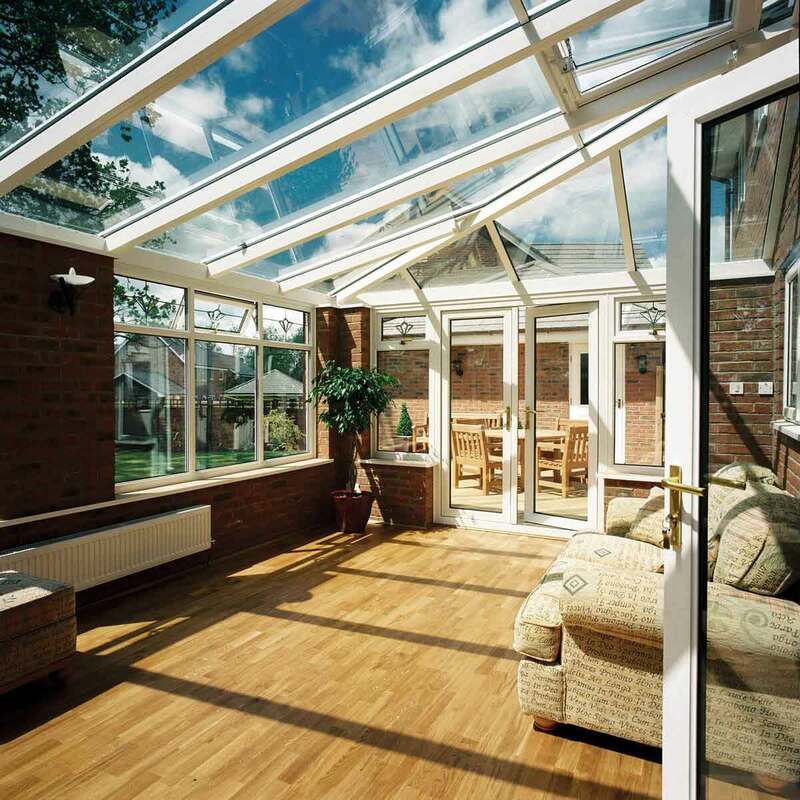 Our range will help to reduce the heat coming into your conservatory via the sun. Our conservatory roofs in Basingstoke come in many options to enhance your experience of your living space and make it a practical and comfortable area to enjoy whatever the weather. Replacement conservatories can be an expensive option for your home improvements, so if you are looking for a more affordable way to enhance your living space, then we can help. At Abbey Conservatories, we offer a range of conservatory roofs, and we can also upgrade and renovate the existing frame, giving your conservatory a new lease of life. Conservatory roofs and upgrades are the ideal options for value for money home improvements, and they will refresh your conservatory in so many ways. You will benefit from the additional space once more. As with conservatory installations, every Basingstoke customer has their tastes and requirements, as well as a property that has its individual character. Choosing a new conservatory roof that completely blends in with your property and reflects your personality is so easy too. With Abbey Conservatories, there is an abundance of options available to you, so that you can create the perfect look and performance that meets your every need. Take a look at our summaries of the conservatory roofs we offer in Basingstoke for inspiration. For a roof that transforms your conservatory, making it look more like an extension to your home than a traditional glazed living space, our tiled roofs from Prefix are the perfect remedy. They offer a beautiful and naturally tiled finish which will blend in with your property, and they are incredibly insulating. Constructed with an aluminium frame, they are light yet sturdy. With two layers of insulation installed between and above the aluminium, you can benefit from incredible, thermal performance. 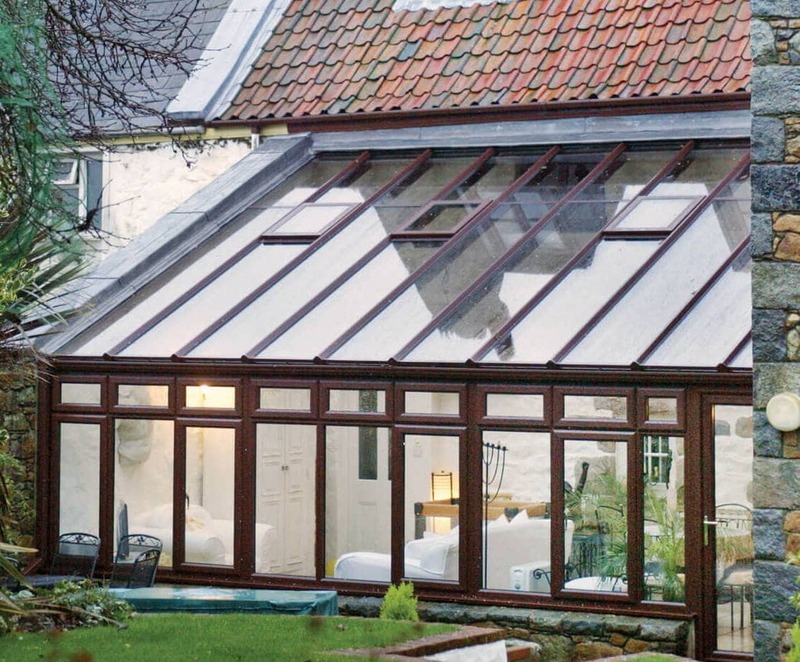 If you want to keep the conservatory look, but you want all the advantages of energy efficiency, security and the latest technology, then our glass roofs are ideal. Made using the Ultraframe design, they are fantastic for thermal performance and come with a range of options such as solar control and self-cleaning glazing. There are some fabulous styles for conservatory roofs, making them perfect for complementing the design of your existing conservatory. 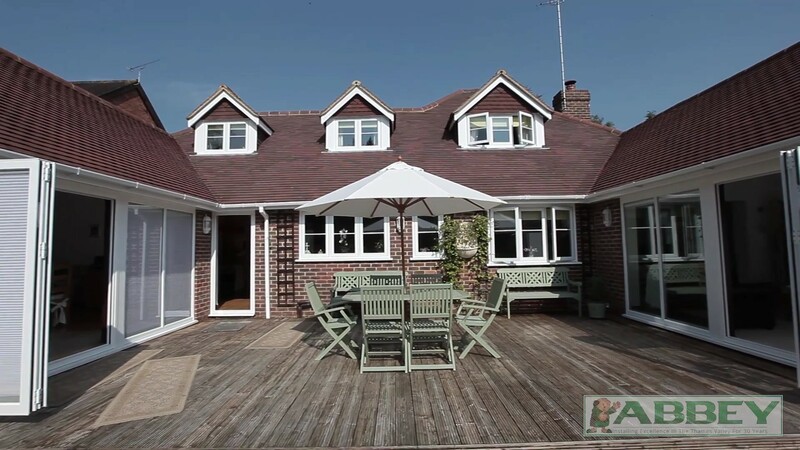 Our aluminium roofs are so sought after in Basingstoke, because not only are they high performance, but they also offer the most exquisite style. The ridiculously slim frames allow masses of natural light to flood into your conservatory, making it brighter and giving a feeling of spaciousness. In addition to this, aluminium roofs come in the widest variety of colour finishes, almost every shade you can think of is available, ideal for a personalised finish. 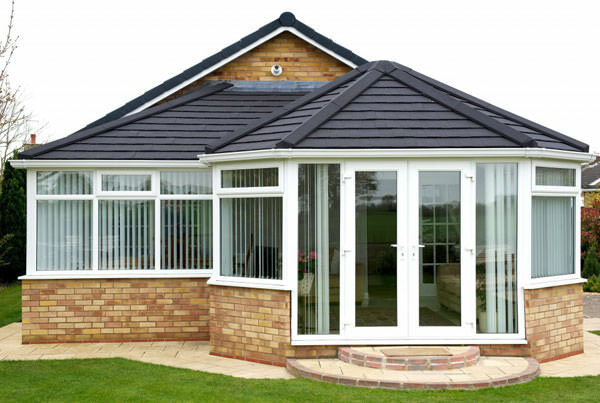 Conservatory roofs are a great investment for your Basingstoke home improvements. There are so many options available that you are sure to find the right mix of features and styles to suit your tastes and your budget. Get a free quote by visiting our online quoting engine. Or if you would prefer, contact us as we have a friendly team who will be happy to discuss any of your queries. Lean-to conservatories are a popular choice for Reading home improvements, as they are one of the most affordable, yet stylish property enhancements. These beautiful conservatories can be installed almost anywhere, developing your home and giving you additional space that you can enjoy all year round. 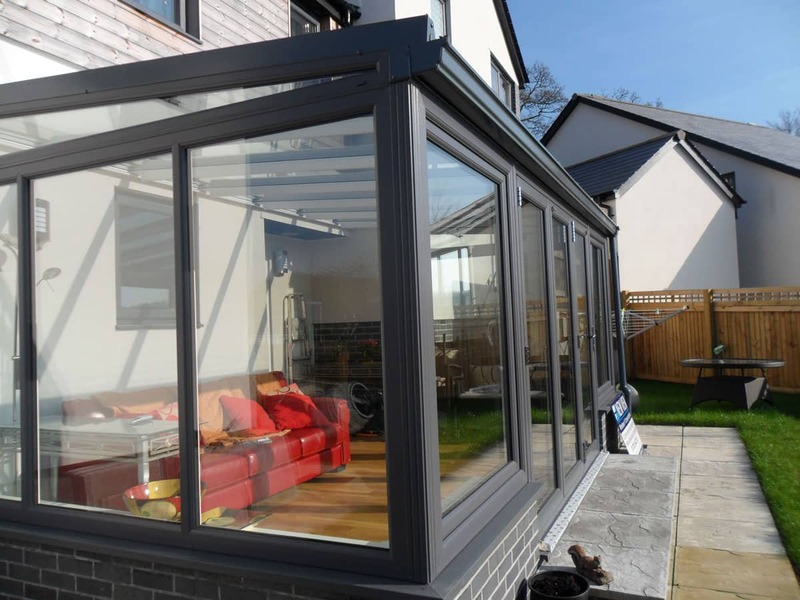 There are so many practical applications of lean-to conservatories that they are truly a grand choice for many home improvements. Lean-to conservatory prices from Abbey Conservatories are cost effective too, making these conservatories ideal for almost any home improvements budget. 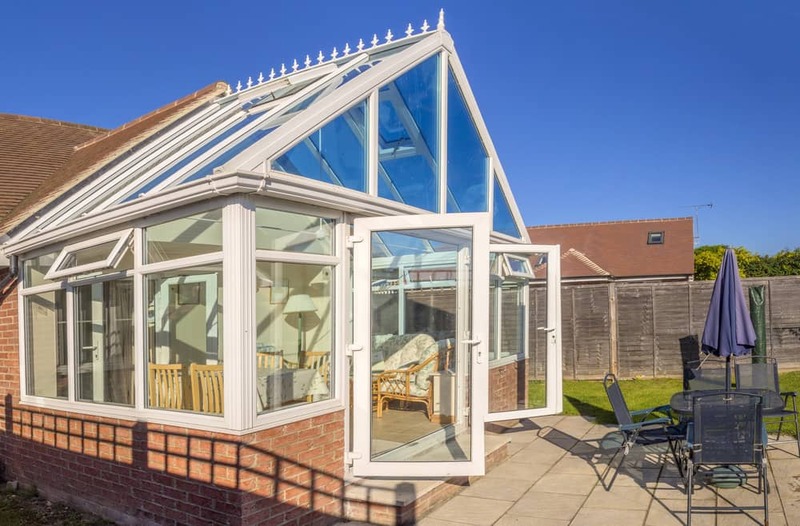 Our guide to lean-to conservatory prices in Reading is here to help you find out more about the benefits and features, which make these conservatories such great value for money. Read on to learn more. 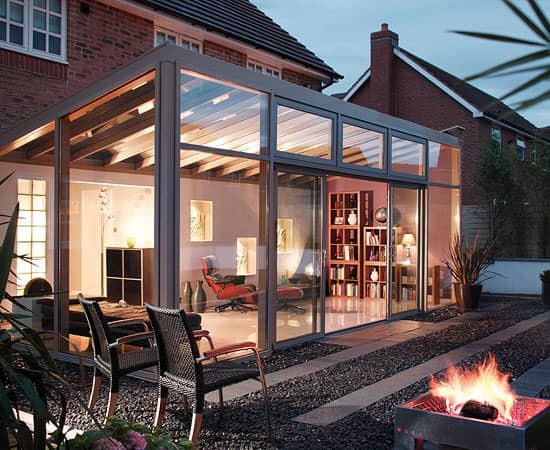 Lean-to conservatory prices in Reading are so affordable that they are ideal for almost any home improvements budget. With these conservatories, you benefit from the fantastic value for money combined with the most beautiful style. Our lean-to conservatories are constructed using the Liniar uPVC profile, which means that you get so much flexibility in design choices. You can opt for almost any style of windows and doors for your lean-to conservatory, from the cost effective French doors to the premium bi-fold door. Opening your home has never been easier. We can also tailor your design with an assortment of colour finishes or woodgrain foils, creating a look that completely complements your property’s architecture and existing double glazing. There are also many options for additional enhancements such as decorative glazing and accessories to complete the look. 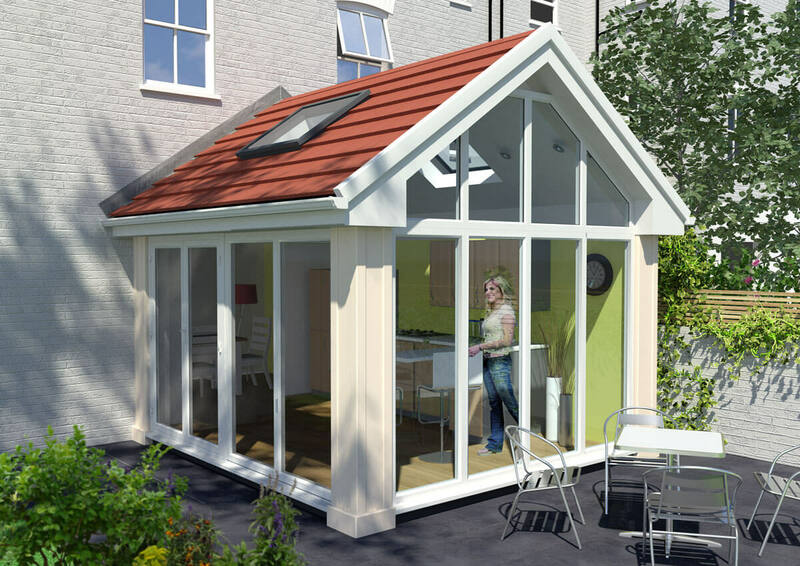 Our lean-to conservatory prices in Reading can accommodate to your budget with the extensive options available for the design. 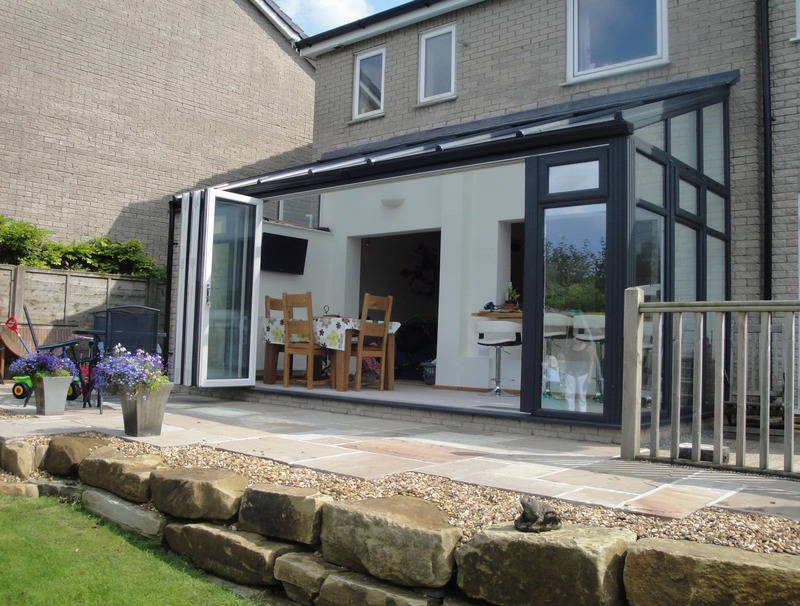 Lean-to conservatory prices are also affected by the size and shape of the space you need to fill in your home. These conservatories are perfect for terraced homes, bungalows and cottages, as they can fill narrow gaps and fit under low eaves, enhancing the appearance and improving the appeal of your property. If you have a small space alongside your property, as is typical with many semi-detached homes, you can create a functional space that makes an excellent utility room or home office. One of the countless benefits of lean-to conservatories is that they are so incredibly versatile, and can fit almost anywhere. They create an additional practical space that you can use for virtually any purpose. They are even ideal for extending your kitchen or living room to create a dining area, as with these conservatories, you can choose almost any size at all. 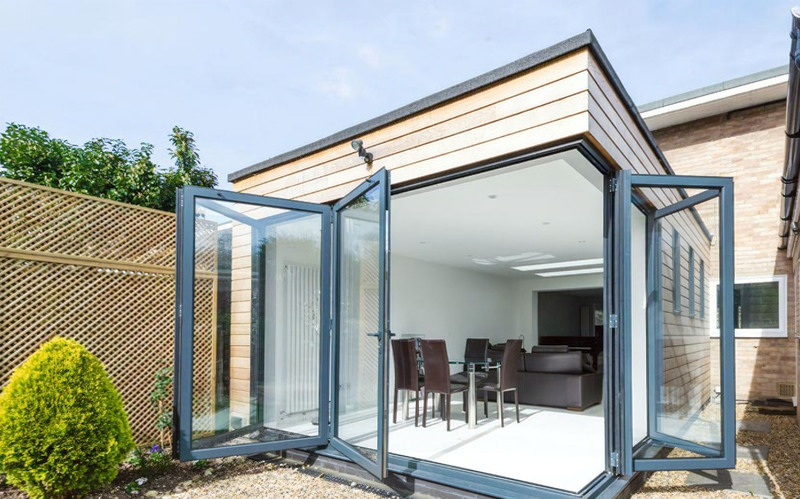 Our lean-to conservatory prices in Reading are fantastic, but when you add in the money saving features that they offer, it is easy to see why they are considered to be such a cost-effective choice. The Liniar profile is multi-chambered, which means air is trapped within the frame to create a thermal barrier. This is key to eliminating draughts and minimising heat loss. In fact, the Liniar profile achieves a Windows Energy Rating of A+12, one of the highest in the industry. It is not only brilliant for creating a room that you can use even in the depths of winter, but it is also fantastic for your household costs. The thermal performance of our lean-to conservatories means that your home will be warmer for longer, and so you will need to use less heating, saving on your energy costs. Choosing Abbey Conservatories for your home improvements gives you the benefit of lean-to conservatory prices in Reading that includes the very best technology and installations that meet the highest standards. Our lean-to conservatories come with high-security Yale multipoint locking systems as standard. The profiles are internally reinforced, minimising the need for steel. 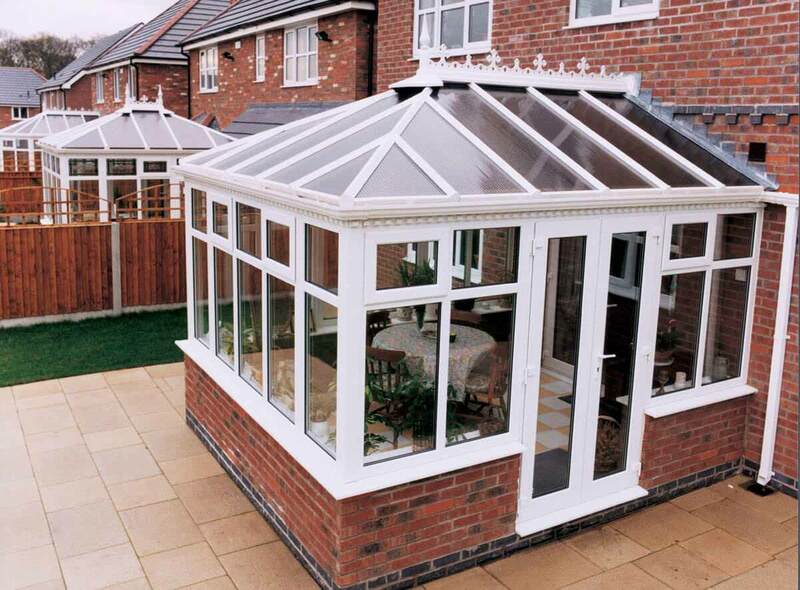 These conservatories are perfect for home protection, keeping you safe and secure. Lean-to conservatory prices in Reading offer you complete peace of mind as well as outstanding all round performance. All our lean-to conservatory prices are tailored to your specifications and requirements, making our quotes unique to you. You can get a personalised guide price with our online quoting engine in an instant. It’s easy to use and takes just a few minutes. Or you can contact our expert and friendly team who will be happy to help. There are plenty of features and benefits to modern conservatories, which is why they are fast becoming the Reading home improvement of choice. Our Modern conservatories are stronger, more secure and offer incredible thermal performance meaning they perform all year round. The modern conservatories we offer at Abbey Conservatories feature all the very latest innovations in conservatory design and development, ensuring that our customers benefit from the best of everything. Why not browse our excellent guide on modern conservatories to find out more? 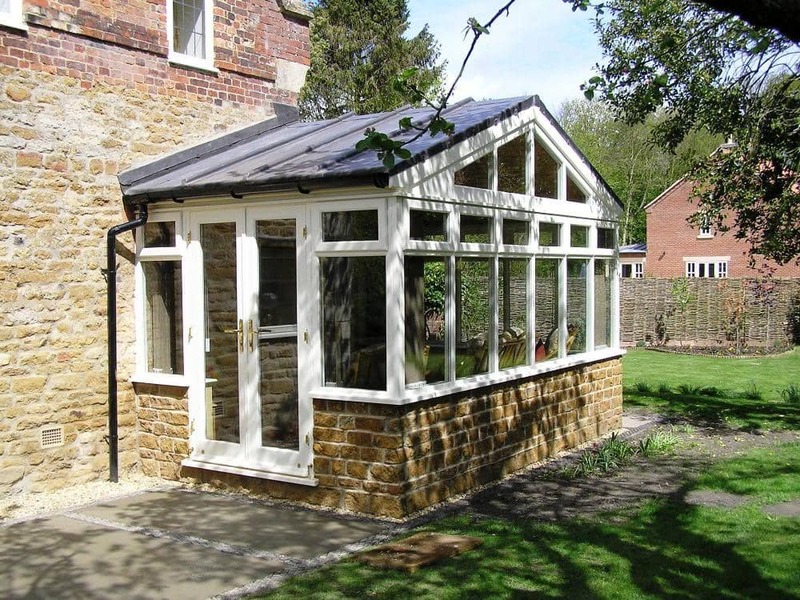 Traditional conservatories were often constructed from a single glazed profile and topped with a polycarbonate roof. Therefore on cold days, these conservatories would be full of condensation and so cold, that they were unusable. In the summer, the sun would turn them into an oven, making them so uncomfortable you would prefer to sit in the fresh air outside. Modern conservatories have been precision engineered to ensure that these experiences are memories. At Abbey Conservatories, we create our installations with the Liniar uPVC profile. This clever system has a multi-chambered design and is fitted with quality double glazing, making it a bold choice for conservatories. The excellent Windows Energy Rating of A+12 ensures that heat remains within your living space, even on the coldest of days, making it a comfortable place to be. You can also opt for our solar control glass and Ultraframe roofs to ensure that in the summer, the oven effect diminishes. Our modern conservatories in Reading are the perfect solution for your home improvements, providing you with additional living space that you can experience all year round. Of course, one of the many benefits of modern conservatories is the increased security. Our conservatories are simply outstanding for home protection. Your old conservatory may well be weak and brittle, making it vulnerable to potential intruders. Our state of the art designs will make your home safer and more secure. The profiles have hidden strengthening technology, which creates a significantly strong frame, almost impossible to break, and every opening in your conservatory is secure with Yale locks. Our Yale multipoint locking mechanisms are outstanding, offering the best protection there is for your property. This makes your conservatory much more secure. You can have complete peace of mind that your Reading home is under full protection with our modern conservatories. 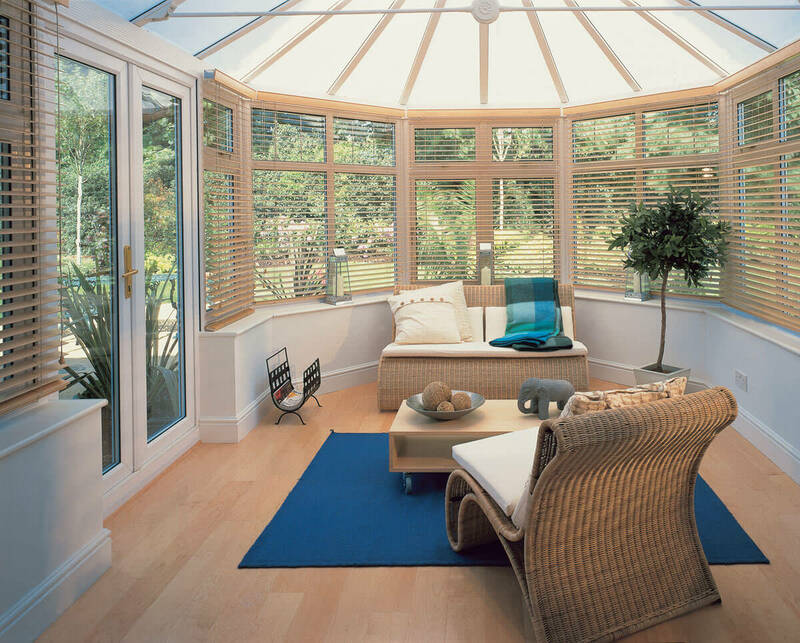 In the past, timber was the primary material of conservatories. This required a lot of upkeep over the years, with the windows and doors consisting of a standard design too. We customise our modern conservatories towards your needs. We offer a range of window and doors styles, enabling you to enjoy a practical design that meets your every requirement. In addition to this, our conservatories can be tailored to blend in with your home, with a range of durable finishes and decorative glazing. We can even offer you a selection of hardware choices. We measure every detail and discuss it with you during the design process so that the conservatory we install is the perfect match for your property and your tastes. These conservatories are beautiful and great value for money. They can be used in almost any space, allowing you to make the most of your home. This classic design comes into the 21st Century with the latest innovations. It is incredibly popular as it blends in well with all types of architecture. Highly practical, the Edwardian conservatory creates an impressive room that you can fill with furniture, creating a glass extension for your Reading home. The functional shape of the Edwardian style combined with spectacular gable structures creates an eye-catching living space and a real feature for your home. Ideal for when you have plenty of space, the P-shaped conservatory will enable you to expand your home into your garden with a multi-purpose room. 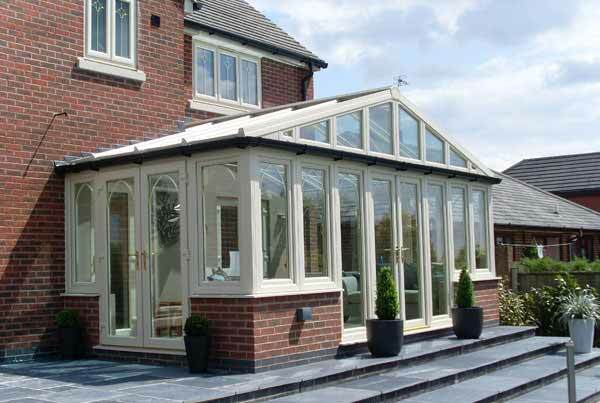 These conservatories are designed just for you, incorporating your every requirement and desire. 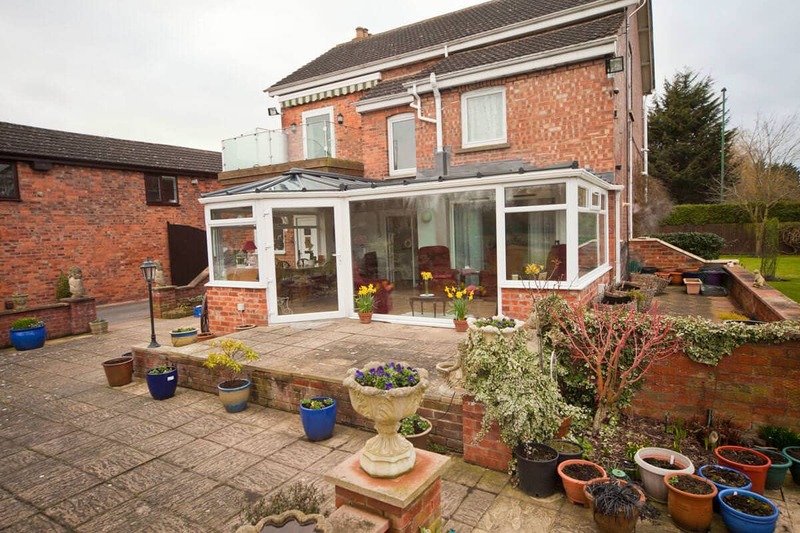 Perfect for any modern Reading home looking for a unique conservatory. Modern conservatories in Reading come in a variety of price options, making them ideal for almost any home improvements budget. Accessing a guide price for your new conservatory is simple too. Either visit our online quoting engine and enter your specification for an idea of costs or get in touch with our friendly team who will be happy to help. Conservatory cost is one of the main deciding factors when looking at conservatories in Basingstoke. 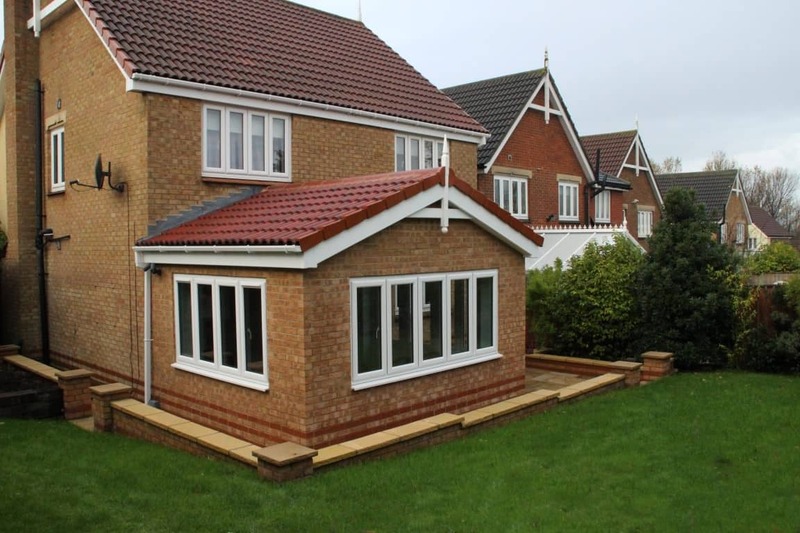 Our conservatories are more cost effective than traditional extensions, yet offer plenty of the same benefits. In addition to this, they are thermally efficient, and highly durable, which could add value to your property. Conservatory cost is also dependent on the style and size of a conservatory that you choose for your home improvements in Basingstoke. We tailor each price to you. Abbey Conservatories are specialists in conservatory design and installation. As experts, we can help you to find a conservatory that is the right cost and the right style for your home and requirements. If you would like a stronger grasp of conservatory cost in Basingstoke, take a look at our guide. Conservatory cost begins with the base of your conservatory and is something that most people forget while looking at quotes for their home improvements. We will need to level any uneven ground and create a firm and sturdy base that meets the very highest standards for your new conservatory. That may be as small or as large as you require it, but your conservatory cost will include the price for this work. The choice is yours with great styles to choose from, which you can then customise to your tastes and property with a catalogue of customisation options too. Conservatory cost depends upon the option you choose, for example, a straightforward, elegant French door could be more affordable than a large bi-fold door. In addition to this, the actual style of the conservatory could affect the cost. Our conservatory styles are summarised below to give you an idea of the conservatory cost. These fall between the more affordable brackets regarding conservatory cost associated with a standard lean-to conservatory. They are simple to install and can be fitted in almost any space, no matter how small, adding value to your home with their functionality. By far the most attractive design, Victorian conservatory cost is fairly mid-range, enabling you to enjoy this classic look for your home. They are staggering as sunrooms, and as a relaxing space to entertain guests, due to the multi-faceted shape that provides fantastic views. If you are looking for a working space that you can use as an additional room, perhaps for dining or for working from home, then these conservatories are ideal. They have a square or rectangular shape and a minimalist design that makes them a desirable and more affordable alternative to an extension. The Gable conservatory is ideal for practical, yet breath-taking living space. It has the Edwardian structure coupled with a luxury roof that replicates the end of a house. Conservatory cost for this option is at the lower end of the premium range, and they are a spectacular choice. 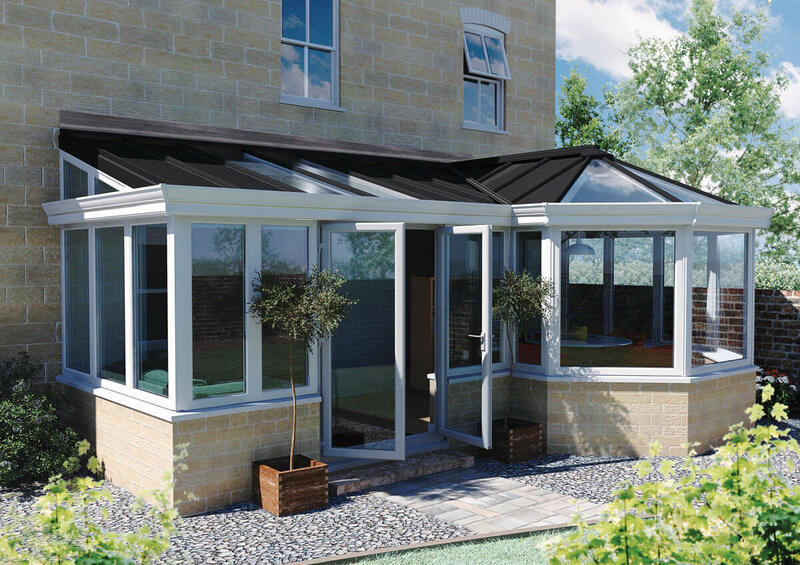 One of our more premium options is the P-shaped conservatory. It is just splendid for period properties and heritage homes where traditional elegance and luxury is required. 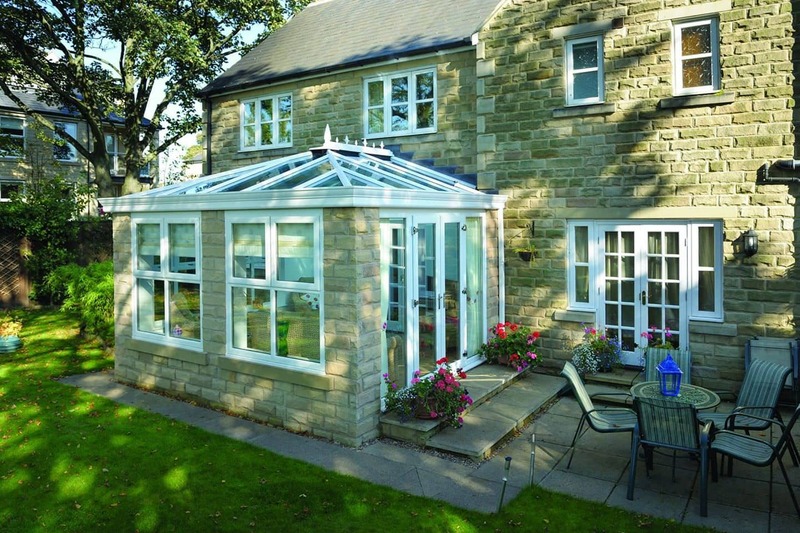 The large conservatories combine the lean-to with the Victorian for ultimate functionality and style. Conservatory cost in Basingstoke meets your needs, but with our bespoke conservatories, you can enjoy a unique living space that is precisely the way you want it and meets your every need and wish. One of the ways our Basingstoke conservatory cost stays flat is with our exceptional Liniar uPVC profile and incredible Ultraframe roofs. These ensure that your conservatory is outstanding for thermal performance, saving you money on your energy bills and making a secure investment. 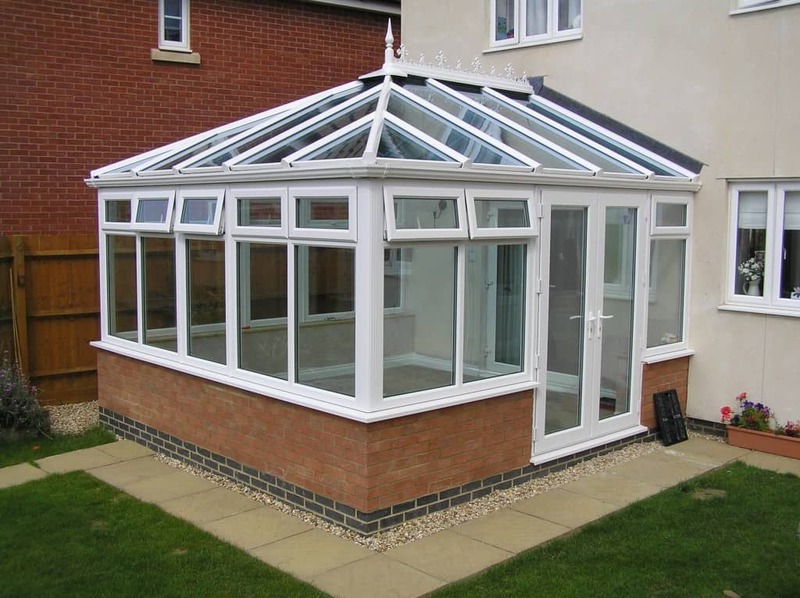 Our conservatories are designed to last for many years to come, giving you incredible performance and all with the bare minimum of maintenance required. They are an excellent choice for investment in your home that you can enjoy and benefit from year after year. Abbey Conservatories are highly competitive when it comes to conservatory prices in Basingstoke, making us a popular choice for installations in the area. Get a free quote at our online quoting engine or if you would prefer then contact us for more information. Our expert teams are on hand to help you with every aspect of your new conservatory in Basingstoke. Orangeries are one of the most versatile home improvements that you can choose for investing in your Wokingham property. These stunning living spaces add so much to a home. They are the ideal combination of conservatory and extension, making your home more practical, as well as stylish. Here at Abbey Conservatories, we are experts in orangeries and conservatories, ensuring that you receive the benefit of extensive knowledge and experience. Our team will be on hand every step of the way, ensuring that your orangery meets the highest standards and is exactly the way you want it to be. 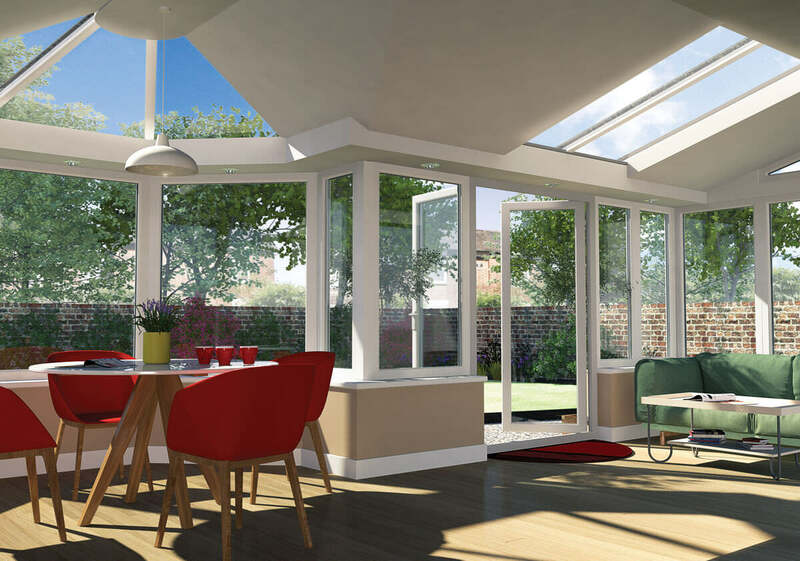 Take a look at our guide to orangeries in Wokingham and see how your home could benefit from these fantastic living spaces. If you want to extend your property, perhaps to create a dining area, living room, office or playroom, then orangeries make a great solution. More cost effective than brick built extensions, and more efficient to install, these stunning living spaces have the benefit of a combination of brickwork and extensive glazing. However, unlike conservatories, with an orangery, you will benefit from more privacy. This is made possible by the brick structure, which enables you to enjoy your new space without being overlooked. This means that you get a practical, yet bright and spacious room to enjoy all year round, which has been carefully designed to meet your every requirement. Our orangeries in Wokingham are created using the Ultraframe LivinRoom system, which means you benefit from luxurious design and outstanding quality. This tried and tested specialist glazing means that the structure is uniquely created to offer lots of glazed areas combined with traditional brickwork. Our Ultraframe orangeries are durable and low maintenance, offering quality that lasts. 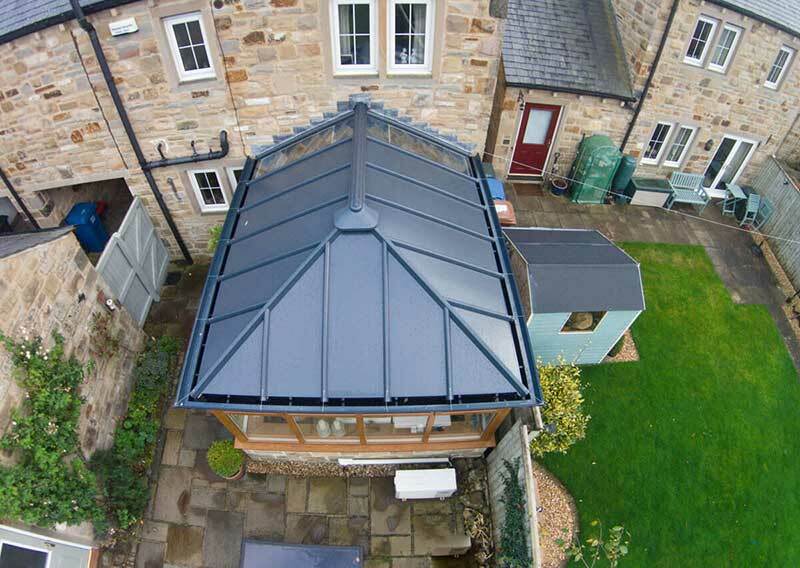 We also offer a range of roof options too, allowing you to open your new space up to the outdoors. Whether you are using your new orangery as a home office where you need peace and quiet, or as a living area where you will entertain guests late into the night, privacy is a must-have feature. Thanks to the extended brickwork combined with the very best double glazing, your orangery will be far more sound proofed than a traditional conservatory. This will be ideal for having friends and family over without disturbing your neighbours, or for having a quiet and peaceful area in which you can concentrate on hobbies or work. Our orangeries are ideal for having all the benefits of a conservatory with the privacy and protection offered by brickwork. Keeping your living space cosy and comfortable is extremely easy with orangeries in Wokingham. You can enjoy a room that is comfortable all year round. In the depths of winter, the Windows Energy Ratings of A+12 your new double glazing achieves will make your orangery a warmer place to be. In the summer, there will be no oven effect as usually associated with conservatories, because although there is extensive glass, your orangery will protect you from glare with the brick structure. When we work with you to design your new orangery, we consider every faint detail. The windows and doors will be the perfect match for your property and also functional for you too. We source our bricks from conventional production sources, but where exact detail is needed, we can offer a bespoke brick matching service. Your new orangery can look as if it has always been a part of your property, blending in seamlessly. Choose a lantern roof for exceptional style, or we offer a range of lighting options to create a luxury living space in your orangery, completely tailored to you. Our style and design options will cover every aspect of your new orangery in Wokingham, making it the perfect match for your property and your requirements. Orangeries are one of the most cost effective ways to extend your Wokingham home, making your home improvements practical and affordable. Our orangery prices are fantastic too, each quote tailored to your exact requirements and choices. Use our online quoting engine for a quick and easy quote or contact us and we will be happy to help you. Our friendly team is here to give you all the advice and guidance that you need so your home improvements in Wokingham are just right. 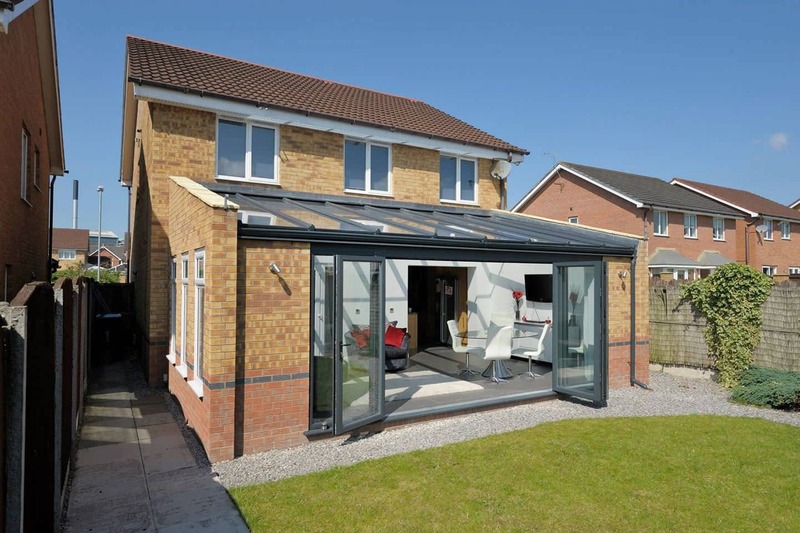 Enhancing your home with the additional space of a conservatory is a fantastic idea. Modern conservatories are just as practical as brick built extensions, providing more living space that you can use all year round. There are many conservatory styles for you to choose from, ensuring that you benefit from the perfect style to complement your property, and to suit your tastes. Our stunning styles at Abbey Conservatories, cover all possible preferences, ensuring you get the new conservatory that you have always dreamed of for your home. 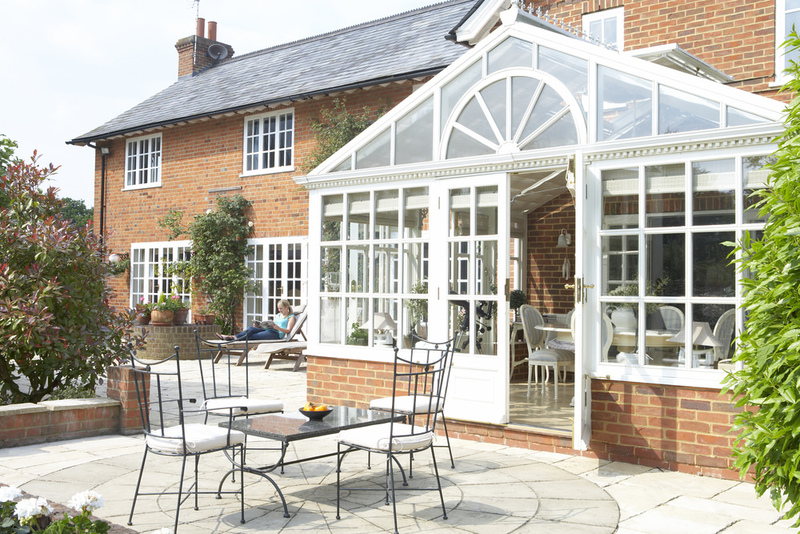 Take a look at our guide to conservatory styles in Wokingham and find your perfect match. 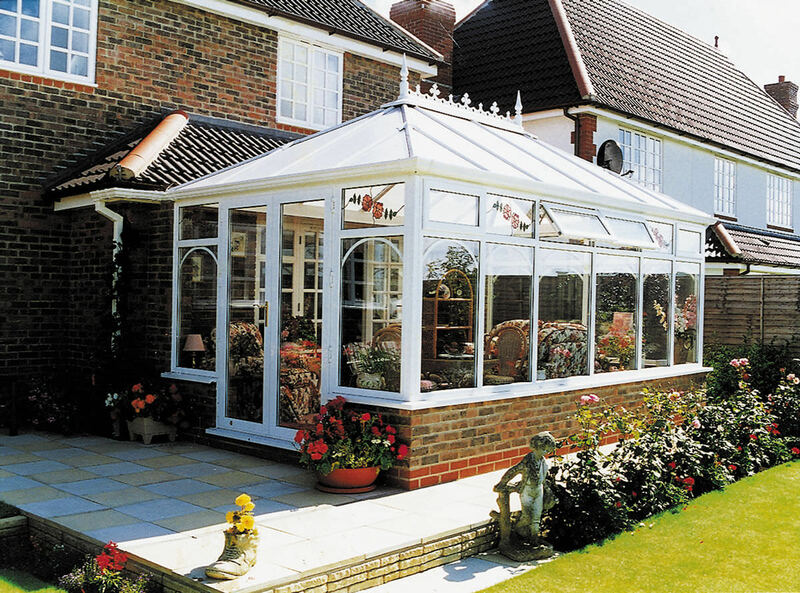 Let’s start with the most popular of all conservatory styles in Wokingham, the Victorian conservatory. These beautiful conservatories offer so much elegance and charm and are seen throughout the country. They have stylish finials that draw the eye to the delicate trim, and they have a unique shape, that gives stunning all round views. Victorian conservatories can be three or five faceted, depending on the space you have and your preferences, creating a functional sun room for you to enjoy. As conservatories go, the Edwardian conservatory is one of the most practical. These conservatories come in a square or rectangular shape, making them ideal for filling with furniture. They are superb for home offices, living areas and dining rooms, enhancing your home with a functional room. They have a minimalist style, which offers streamlined beauty, making them ideal for any type of property, modern or traditional. One of the most versatile conservatory for your home, is the lean-to conservatory. These clever designs can fit into almost any space, realising the potential of even the most awkward areas in your garden. They lean up against your house, so are ideal for properties with low eaves such as bungalows, or narrow homes like terraced properties. They can be used to extend your kitchen, create a new living area, as a side extension to your property, even as a utility room. They are truly adaptable to almost any requirement. In looking at conservatory styles in Wokingham, we have mentioned the Edwardian conservatory, and the gable end conservatory is based upon the structure of that design. It utilises the base of the Edwardian style, but then extends to the sky with a gabled roof, much like that of a house. These conservatory styles are simply breath taking, giving you an incredible glass ceiling that makes your conservatory a stunning feature. They are a luxurious home improvement, enhancing your property in so many ways. When space is available, and you want a conservatory style to extend to the width of your property, our stunning P-shaped conservatories are perfect. They combine the lean-to style with the Victorian option to create a superb living space that is truly multi-purpose. You can have a dining area at one end, with a play room at the other, or perhaps an office combined with an area for relaxation. Whatever you need to use your conservatory for, a P-shaped conservatory style has got it covered. Our conservatory styles can even be bespoke to your home and your tastes, allowing you to create your dream glass extension with our designers. Bespoke conservatories enable you to pick and choose the elements that you love to create a conservatory style that is unique to your Wokingham property. 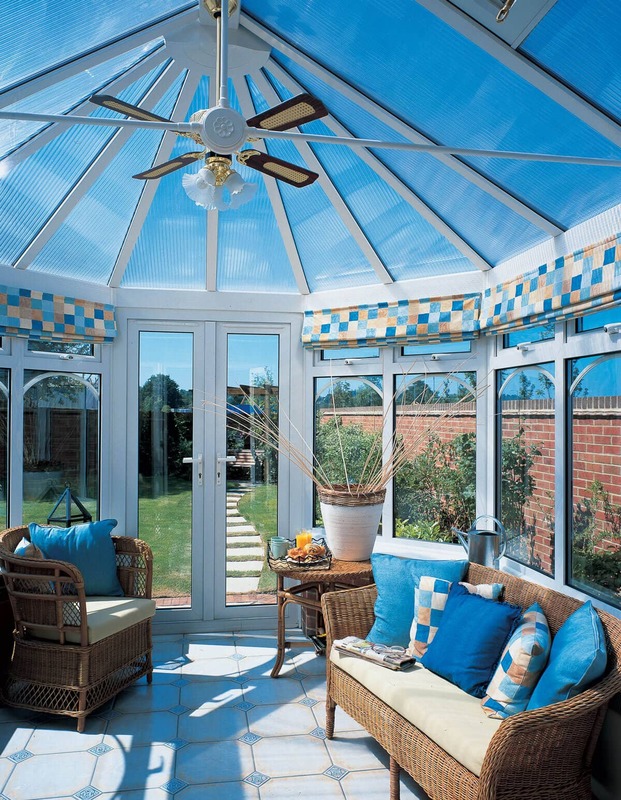 These conservatory styles are ideal for homeowners with awkward spaces or extensive space. We will work with you to create the perfect conservatory style for your home. Our conservatory styles are constructed with Liniar profiles and a variety of roof options from Ultraframe. This means that you will benefit from superior energy efficiency and security, making your new living space a safe and comfortable place to be all year round. With conservatory styles in Wokingham from Abbey Conservatories, we offer a range of options to tailor your conservatory to your tastes. This includes finish of the design, the glazing and any hardware and accessories as well as the door and window styles. Our conservatory styles prices are spectacular, as we specialise in the design and installation of stunning conservatories throughout Wokingham. Use our online conservatory designer to get a personalised guide price, or contact us for more information. Our friendly team will be happy to help.